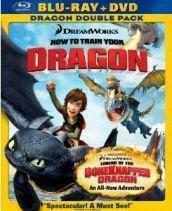 Today's featured bargain serves up two recent DreamWorks animated films on Blu-ray for under $13 each! The online retailer is now selling 'How to Train Your Dragon' and 'Megamind' for $12.99 each (68% and 74% off suggested list price!). Click here to order dragons and here for mega supervillains!